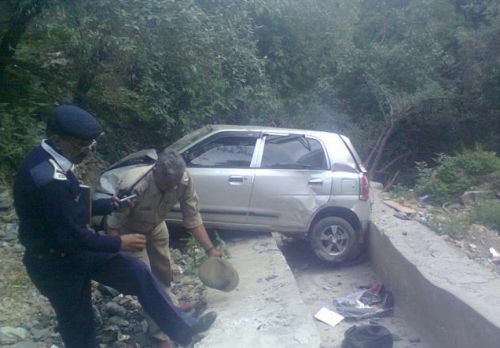 An ill fated Alto car rolled down about 60 feet near Fagli Bus stoppage. One person killed and two other injured in it. The accident was fierce as the police could not find out the registration number of the car.